Today I continue the topic of the paleo diet and suggest you a list of guidelines concerning nutrition, sport, and additives. They are arranged in a specific order of importance. So, it is recommended to move down slowly reviewing the guidelines one by one. You should undoubtedly avoid unhealthy food that is offered to us everywhere. Cook healthy dishes with optimal products allowed by the paleo diet. All the grains such as wheat, rice, and some others are forbidden. However, if you want to eat some grains, take just a small portion and it should be prepared well to remove harmful elements. The most non-optimal grains is wheat, so it is better to choose rice. Despite the popular belief, whole grains are not healthier than refined ones. As you remember sugar is also taboo on the paleo diet. It means that you should not eat honey, sugar, sweet syrups and all the sweeteners. The only way to sweeten your dish is the use of stevia. Maybe now you think that it is impossible but soon you will see that even ordinary vegetables taste sweet. What is more, oils are also forbidden, to be more precise, derived from seeds and grains (canola or soy oil). That is why it is recommended to prepare salad dressing at home. Since in cafes and restaurant such harmful oils are used, do not order fried dishes. Instead of transfats, take moderate amounts of animal fats such as butter or tallow. Moreover, unrefined coconut oil and olive oil may be taken. It is worth noting that saturated fats are good for your health, especially for your heart. Soy is also harmful to your health. However, fermented one may be consumed only if your body tolerates it. But don’t forget that all soy contains some hormones that are similar to estrogens. As you already know, all the legumes are also forbidden for the paleo diet followers. An exception can be made for those who prepare them well and remove toxins in such a way. You should obviously control the amount of omega-6 and omega-3 polyunsaturated fats in your body, and special attention should be paid to omega-6. Nowadays, people consume omega-6 in incredibly great amounts. Due to some recent researches, the average ratio of omega-6 to omega-3 in modern diets is 16:1, while it should be 1 to 4. In order to decrease the amount of omega-6 in your body, stop taking oils mentioned above and nuts that also contain it in excessive amounts. Fish oil may help you to increase the omega-3 amount. Pay special attention to the meat intake. It should be of good quality since such meat contains the required amount of omega-6 and omega-3. First of all, it should be the meat of animals fed with grass. In any case, do not eat meat that contains antibiotics or some other chemicals (if you have an opportunity to check it). Among different kinds of meat give preference to red meat. It does not mean that it’s much healthier but it has better taste. It is recommended to eat eggs from chicken fed with natural feed. Since this product is rich in good omega-3 it will be a perfect choice for breakfast. It is also better to eat more egg yolks than whites. Fish should definitely be a part of your diet since it is rich in healthy substances. It is better to buy wild caught fish than from farms as it may contain a lot of chemicals. As for training, don’t do cardio workouts. It is better to pay attention to short, intensive workouts. 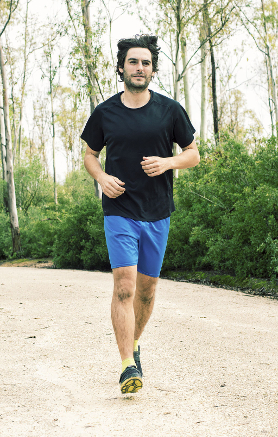 By the way, you may try weight training, sprinting, and barefoot running. Also, it is recommended to just move a lot throughout a day. Females should not be scared to weightlift: it will not make your body manly if you don’t go to extremes. Not all vegetables are allowed by the paleo diet, especially in their raw form. Pay attention to your consumption of fruits. As it was mentioned above, sugar is not the optimal food for humans and fruits contain a lot of sugars that is why they are forbidden. It is better to eat berries. It is allowed to consume some dairy products but only those that contain fat. Low-fat dairy foods are forbidden. If you are struggling with the excess weight it is better to refuse from dairy but if you want in contrary to gain weight, they will be a good option. Not all nuts should be excluded from the diet but those that contain too much of omega-6 definitely should be. Among allowed nuts are macadamias, you also can eat in moderate amounts cashews, hazelnuts, almonds, and pistachios. It is not recommended to eat pecans, brazil nuts, and pinenuts and walnuts are strictly prohibited. Dry nuts if you do not want to have toxins in your body. Do not eat rancid nuts. And again, if you are on your way to losing weight, limit nuts consumption. All the athletes and bodybuilders know that carbohydrates are an essential part of the diet since they improve the performance and give energy. Among optimal foods containing carbs are sweet potatoes, eat them if your body tolerates this kind of food. Limit their consumption if you are struggling with extra weight. If you want to help your digestive tract, do not forget about such healthy drinks as yogurt and kefir. We also want to turn your attention to foods that may seem not so popular such as bone marrow. It is also the good and healthy product for your body. Do not forget about supplements such as vitamin D. Among good supplements are cod liver oil and butter oil. Also, take iodine and selenium and potassium; vitamin K2; fish oil. Of course, it is clear that it is much better to get all the necessary elements from real foods but modern ecology leaves a lot of products without them. Do not be afraid if in the first few days of your new life on the paleo diet you will feel apathy or decrease of energy. Your body needs some time to adjust and to feel the advantages of the new diet – taking energy from proteins and fats and not from carbs. So, just give your body a bit of time. Sticking to the diet in order to lose extra weight, pay attention to the carbs intake. It should not exceed 50 g per day. Nuts and diary will definitely slow down the process of losing weight, so limit their intake. However, if you want to gain weight, it will be useful for you to eat high-fat dairy products and sweet potatoes. Good sleep is one more essential part of your new lifestyle. Listen to your body and search for foods that will bring only use to it. In a case of some diseases, exclude all the potentially dangerous foods. Among them can be gluten, dairy, nuts, eggs, and nightshades. Their elimination from the diet for some time will show you if they are harmful to you or not. Eat foods that make you feel good. Since all people have different bodies and thus different demands, find your own range of healthy products. Search for new optimal foods as your tastes will constantly change. The paleo diet offers a wide range of different products and you should just create your own list of healthy and tasty dishes. Enjoy them! Do not have a meal if there is no healthy food with you. Fasting will not bring harm to you in this case. Control how much you eat. If there was such a case when you ate non-optimal or so to say forbidden foods, do not blame yourself. We are all people and can make some mistakes and of course, it does not mean that if you really want some “harmful” foods on occasion, you should reject it. Just remember that each product brings harm or good to your body, if you are ready to pay such a price, you are welcome. But do not allow such desires to turn into a habit. Toxins can be found not only in food but also in goods that surround us. Cookware may also contain toxins, as for example, non-stick pans (it is better to use stainless ones). Pay attention to water you drink, it should be only clean. Ladies should be attentive to what they apply to skin. Do not use creams that contain chemicals. Coconut oil can perfectly replace them. For soap and shampoo use natural ones or just nothing (only water rinse). Brush your teeth with soda or again use nothing. Many followers of the paleo diet noticed improvement of teeth, especially when they consumed cod liver oil and butter oil. Your home pets will be also glad to stick to the paleo diet with you. Healthy food will improve mood and health of your lovely pets. You are the only one who is responsible for your own happiness and health. Read special literature, get excited about new inventions and discoveries, have your own opinion. Search for your own way to be happy and healthy. 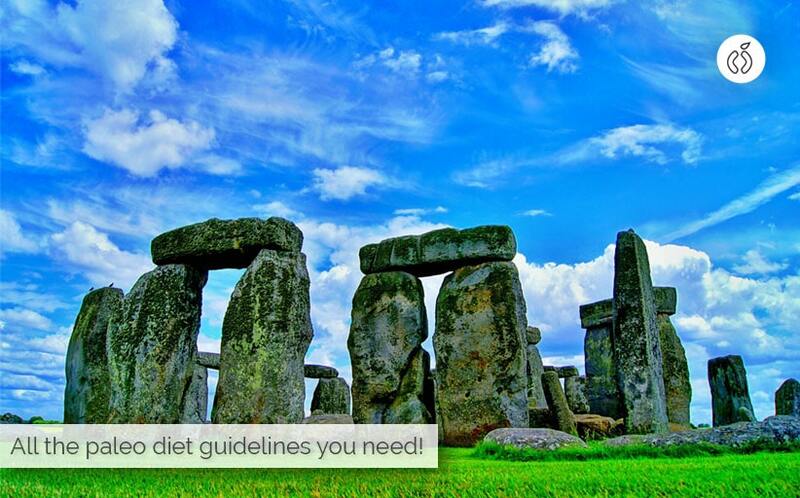 Share your thoughts about paleo diet guidelines in the comment section below. 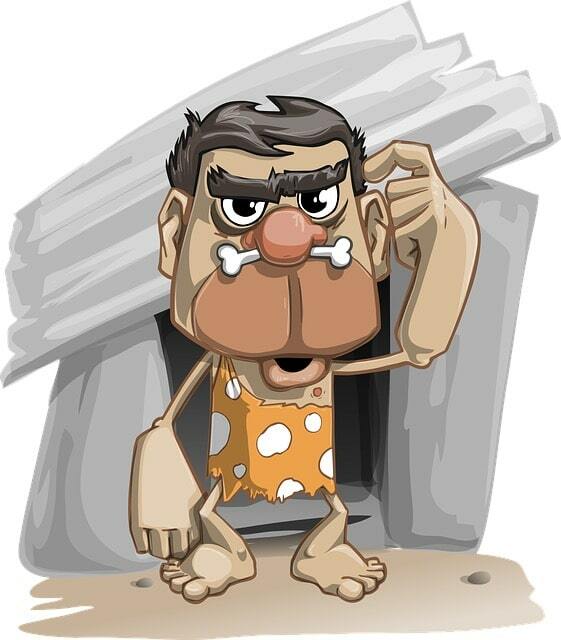 Paleo diet id more than do's and dont's. Paleo is a way of living a better, healthier life. 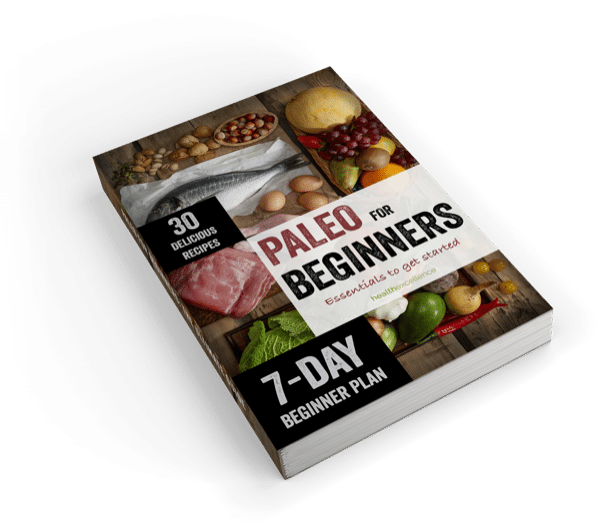 So I've put together 29 basic paleo diet guidelines to help you.